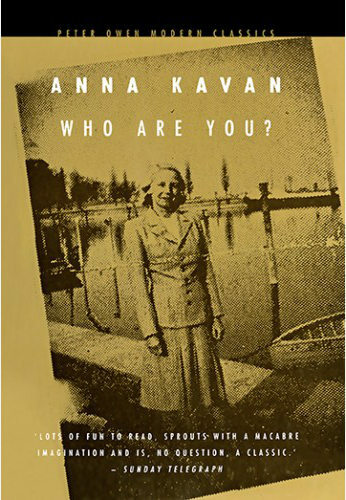 Like a long, hot fevered dream, Anna Kavan’s story of a stifling marriage swarms with darkness and half-seen threats. Living in a tropical region labelled only through slang as ‘white man’s grave,’ our heroine is struggling to give up of the illuminated life of academic pursuit she’s left behind and accept the wedded unhappiness she’s been forced into. Her husband, known by the staff as Mr Dog Head, seems no more satisfied with the arrangement. Her silences make him distrustful, which in turn causes him to simmer with violence. Favourite games include playing tennis with unwary rats, and forcing the girl to look on. At any moment, it appears, he’ll turn that brutality on his wife. We witness the story through the eyes of an omniscient narrator, who shares one viewpoint, then another, often only speculating about the inward cause of responses and actions. It feels as though we are the mosquitoes that the girl unthinkingly lets into the house – swarming and spying on this desolate marriage. Posted in Reviews	| Tagged Anna Kavan, Book reviews, Peter Owen Publishers, Who Are You?